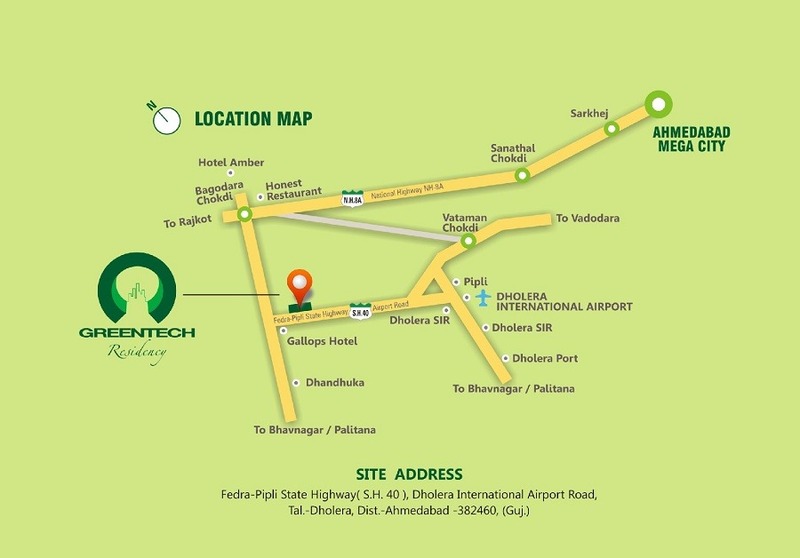 Greentech Residency is Dholera’s premier Real estate Company. 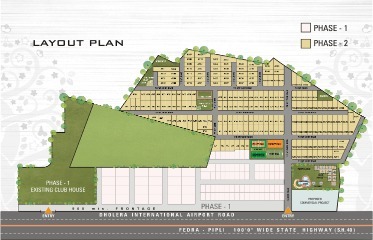 We offer opportunity to invest in various Residential Bungalows, Residential plots, Studio Apartments, Residential Group Housing and Land Banks – Commercial, Industrial, in Dholera- India’s 1st Smart City. 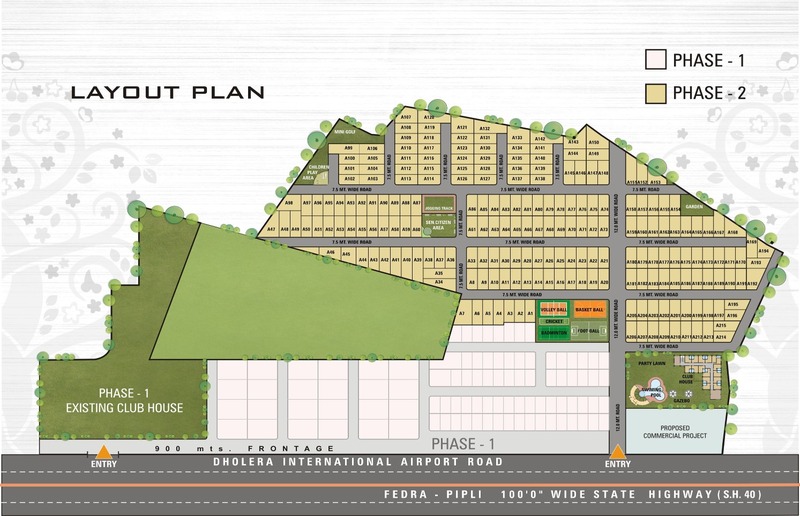 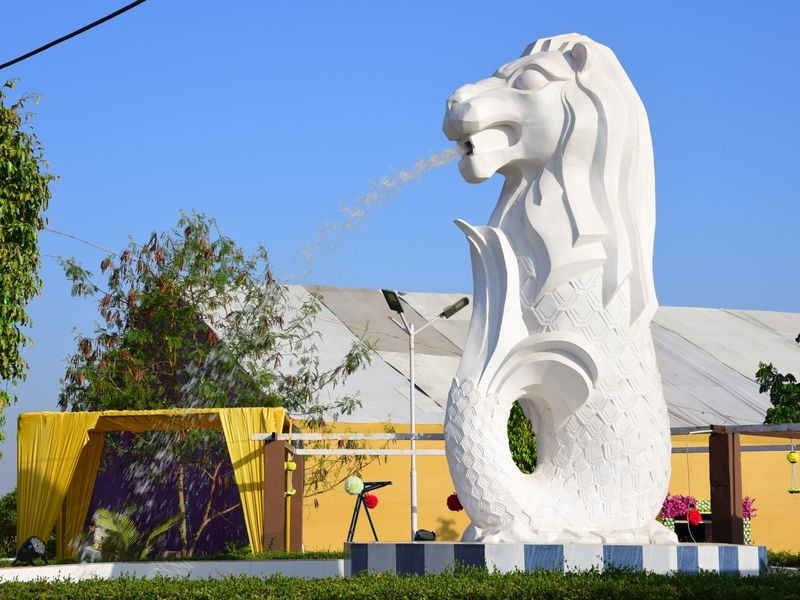 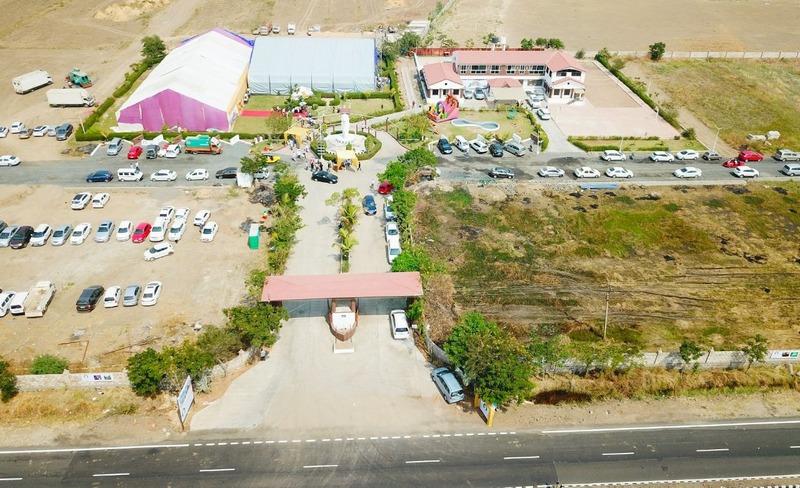 Being the Only Company in Dholera that provides Corporate Rental Solution with Fully furnished (German make) Bungalows to Studio Apartment with Luxurious Club House - makes us the most preferred Real Estate brand in Dholera. .
•	Defined Compound Walls of project and individual Plots, Street Light, and tree plantation. 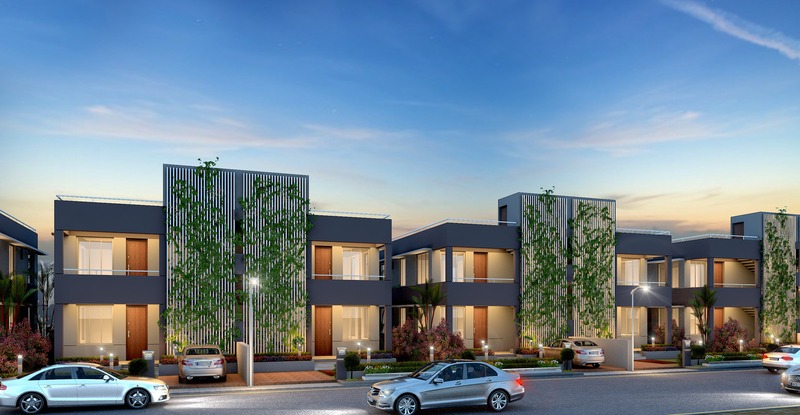 •	Amenities Include Gymnasium, sports facilities, swimming pool, jogging track, playing zone for kids, indoor game facilities, table tennis room, basketball court, cricket court, tennis court, pool table and indoor home theatre. 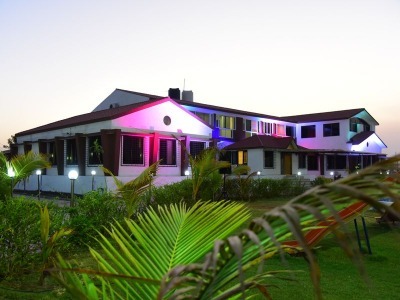 It also has a Jain Temple (Derasar ) .